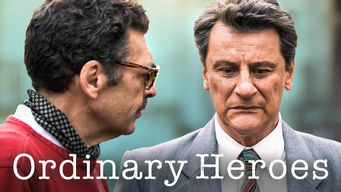 Ordinary Heroes tells three stories about Italian citizens who took a stand against a negative aspect of their society. The first story tells the viewer about Libero Grassi, businessman, who in 1991 moves his clothing factory to a new location. Not long afterwards the Mafia demands money from him. Grassi refuses to pay and as a result of his stand gains attention across Italy but also the ire of the mob. The next story concerns newspaper reporter Mario Francese. In 1979 when a new dam project gets announced, he decides to learn all about it. What he uncovers are mob ties to the project. Before long threats begin but this does not deter Francese. Then one fateful night he is shot dead outside his home. In the early 2000s, and one his children Giuseppe, decides to look into his father’s death. And the last story is about Renata Fonte who lives in a sea side town. She becomes a counsel member who responsible for tourism. One of the things she looks into is a seaside development project. This raises the anger of the businessman behind it. Each tale is informative, uplifting, and although each story ends in tragedy the impact each of these persons made after their death became lasting.